Engineering Safety Consultants regularly present at functional safety seminars and events. Our experts are regularly invited to present at commercial events around the world alongside offering our own seminars. Listed below are the seminars and events in which our experts are presenting. ESC's Dr Esteban Bernechea is to present at the American Society of Safety Professionals – Middle East Chapter (ASSP-MEC) 13th Professional Development Conference and Exhibition. ESC’s Dr Huipeng Li is to present on Functional Safety Integrity and Its Contribution to Asset Integrity at the prestigious 2018 SAPSC in Saudi Arabia. ESC’s Dr Fan Ye will present at the Seminar: COTS, Legacy and Reuse by The Safety-Critical Systems Club (SCSC). ESC’s Ron Bell OBE is presenting a webinar on Proof Testing for Safety Instrumented Systems… What you need to know on 12th July 2018 at 9:00 GMT. Engineering Safety Consultants (ESC) Ltd is running a series of complementary UK seminars on applying IEC61508 and IEC61511. The next seminar takes place in Bristol (Mercure Bristol Brigstow Hotel) on 30th May 2018 . They will provide a practical review of compliance and associated challenges affecting end-users, system integrators and system designers including discussion on IEC 61511:2016. 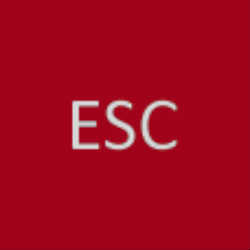 ESC to present "Failure rate for SIS… we all collect it don't we?" at Siemens Space UG 2018 User Group conference. ESC to present at IET Safety Critical Systems Course. With system complexity advancing at a fast pace, this four-day course is designed to give you an extensive and authoritative account of the requirements for functional safety through in-depth discussions and practical workshops. ESCs Simon Brown is presenting at Shapa's Atex Workshop, keeping you up to date with the latest thinking relating to the Atex regulations. ESC's Ron Bell OBE and David Green will be presenting "Proof Testing… A key performance indicator for designers and end users of Safety Instrumented Systems" at Hazards on Friday 12th May. Engineering Safety Consultants (ESC) Ltd's Ron Bell will present at the Safety Critical Systems Club's Silver Jubilee Symposium which will be held at the Bristol Royal Marriott Hotel from the 7th-9th February 2017. Engineering Safety Consultants (ESC) Ltd's Paulo Oliveira is presenting at at IET Humber Network on Functional Safety KPI’s. Engineering Safety Consultants (ESC) Ltd is running a series of complementary UK seminars on IEC61508 and IEC61511 compliance. The next seminar takes place in Aberdeenshire on 20th October 2016 and will provide a practical review of compliance and associated challenges affecting end-users, system integrators and system designers. ESCs Simon Burwood is to present at the Process Safety Technical Exchange Meeting, PSTEM 2016, in Saudi Arabia. Simon will be presenting "Proof Testing… A key performance indicator for designers and end users of Safety Instrumented Systems”. ESC will be presenting at the Institue of Mechanical Engineers, IMechE, on 22nd September 2016. The session, "What Is Functional Safety And What Do I Need To Know About It? ", is an introduction to functional safety for the bulk handling industry and in particular how does Functional Safety interact with ATEX. ESC's Dr. Fan Ye is to present his paper "Qualitative versus quantitative risk assessment" at the European Safety and Reliability (ESREL) Conference to be held in Glasgow between 25th and 29th September. ESC's Ron Bell is to give the keynote speech as well as Ron running workshops with David Green at Big ATEX & Process Safety Conference. The conference has three functional safety sessions and how they relate to hazardous areas and clarifies the ATEX guidelines for your organization.